Nick Whittier, having been alive for six centuries, has had plenty of time to master three professions. In a typical week he works as a police officer, lawyer and doctor and still finds time to murder someone and drink their blood. He used to feel guilty about the killings, but now he restricts himself to only eating the worst members of society. Few people in Starside, Illinois seem to care about the untimely deaths of spam e-mailers, pushy Jehovah Witnesses and politicians. However, the barriers between Nick's three secret lives start to crumble when a mysterious man from his past arrives in town seeking revenge. Nick must move quickly to prevent the three women in his life, and the authorities who are hunting him, from discovering his terrible secret. 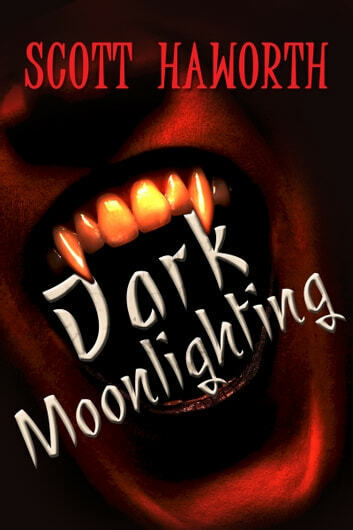 Dark Moonlighting is the first book in the humorous series. It explores four of the biggest clichés in popular culture, and it pokes fun at a number of popular television shows including Law & Order, Bones and House. 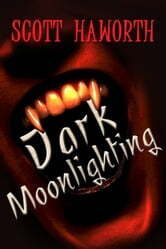 It also takes a more realistic and amusing approach to the vampire cliché. For example, the average human has the equivalent of five Big Gulps worth of blood in their body. Nick takes twenty minutes to kill someone and, like the vampire bat, must immediately urinate afterwards. I laughed like crazy throughout...! Haworth's "hemophagous" characters lend credibility to vamp lore. I'd like to see the main character have other adventures where he must balance his desire to atone with his predatory nature. I found this book very boring. It was like going to a lecture and listening to a man that speek very evenly. No ups or downs. You end up falling asleep listening to him..